I met vineyard worker & Plumpton Wine student Will on a visit to Rathfinny Wine Estate late in 2017. Vineyard worker is a job description which encompasses a myriad of skills from planting, pruning, pest control and much more - there's never a dull moment for Will is dedicated to working throughout the year, in the varied conditions we call English Weather, alongside his ongoing studies at Plumpton College! It's now time to begin pruning and planting the next phase of 60,000 vines against the backdrop of South Downs with spectacular views of the Cuckmere Valley. I can think of worse places to work . . .
Q Why did you join this company? WM I joined Rathfinny shortly after starting the Wine Production Foundation course at Plumpton College. To complement my studies, I wanted to work at a wine estate that offered progression, opportunity and was promoting not only their wine but also the South East as a quality wine producing region. Q What does the business do? WM Rathfinny Wine Estate produces quality English sparkling wine made in the traditional method at its 600-acre estate in East Sussex. Q What is your favourite product? WM Cradle Valley – a beautifully balanced English wine, a blend of Pinot Gris, Pinot Blanc which has gone through MLF malolactic fermentation to produce a balanced, creamy and delicious wine. Q What does the future hold? WM With a balance of practical experience at Rathfinny and education at Plumpton College, I am working toward furthering my knowledge in English wine and building experience to one day manage a vineyard. Q Why did you change careers? WM I graduated with a degree in Marketing and have worked across corporate sales and specialised recruitment. 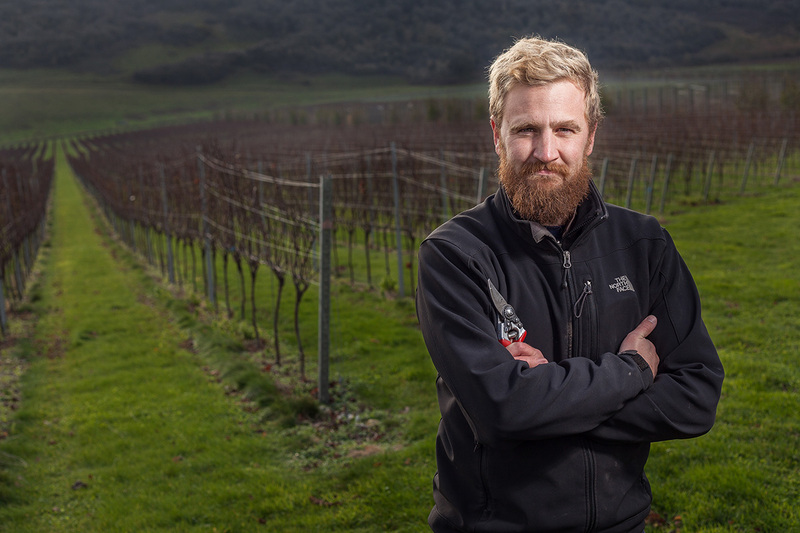 Although I enjoyed these roles it has been my intention to work within a diverse and engaging work environment where I can develop my interest in viticulture and management. Q What are the best things about your current role? WM Whilst there are many aspects of my position that I enjoy, exposure to different tasks through the year help me to learn new skills and increase my knowledge of vineyard operations. Q What have been their biggest highlights/success in your current job? WM Working on the vineyard is my primary responsibility at Rathfinny. However working with the events team on vineyard and winery tours and been a great experience and one I hope to continue next season. - What course are you studying at Plumpton? Q What was the best thing about studying at Plumpton? WM The lecture content and course structure provide me with key knowledge in wine making and viticulture. It provides a foundation to be built on through further reading. Since moving to the coast, close to the vineyard, I have taken up sea swimming and, swell permitting, manage to swim most mornings. The challenge will be continuing to do so throughout the winter. Q What would be your desert island wine, or would you choose another beverage? WM Too many amazing wines to choose from, so it’s got to be a pint of Harveys Sussex Best. Thank you Will, it was a pleasure to meet you and the team. Original photography & blog by Ian Pack - call for bookings or to discuss your next project. Images remain copyright Ian Pack and are available for commercial use. There are topics to be learned in this post. I will get a lot of work. Thanks a lot for share.